The Super Series includes eight different poker events, each with great guaranteed prize pools. The events range from a fun-filled and social ladies event to a relaxed teams event to the $25,000 monthly NSW Pro Open and the $60,000 qualification only State Championships. The State Championships and the NSW Pro Open are two of APL’s most serious poker events and have formed the breeding ground for many aspiring poker pros including Sydney South’s John Azzi, City South West’s Charlie Elias and Shivan Abdine and Phil Faux from the South Coast. Local hopes are pinned on the Newcastle region’s top-performing players Lynn Valaire, Mark Bentley and Goran Vasiljevic. These top three performing players have collectively played more than 350 APL poker games this quarter. 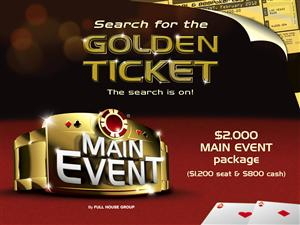 As well as a large cash component for the $100,000 Super Series prize pool, there will be at least 20 seats to the MAIN EVENT awarded to top performing players throughout the event series. 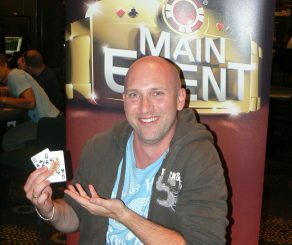 Presented by APL’s new owners, the Full House Group, the MAIN EVENT will be held at Crown Casino in Melbourne in February 2012, where an estimated $500,000 prize pool will be up for grabs. Full House Group is one of the largest suppliers to the hospitality and entertainment industry and purchased APL, the world’s largest poker league, in July this year. Co-founder and CEO, Garry Nicholson is excited about this upcoming $100,000 Super Series which is the first presented under their stewardship of the FHG business. “The $100,000 Super Series including the Season 3 State Championships is effectively our official public launch into APL’s NSW market and a chance for us to introduce ourselves to the players and venues in APL. FHG has enjoyed a long association with the Newcastle region through our other hospitality services and with it being an important poker-hub, we’re thrilled to be holding this event series there,” Nicholson said. • The Super Series will be played at Wests Mayfield (formerly The Phoenix Club), 32 Industrial Dve, Mayfield, NSW.